The chief prosecutor of the International Criminal Court (ICC) says any person who encourages or condones President Digong’s war on drugs is liable to be prosecuted before the court. “Let me be clear: any person in the Philippines who incites or engages in acts of violence including by ordering, requesting, encouraging or contributing in any other manner, to the commission of crimes within the jurisdiction of the ICC is potentially liable to prosecution before the court,” ICC Chief Prosecutor Fatou Bensouda said in a statement recently. The ICC would then be prosecuting 76 percent of Filipinos who encourage the elimination of lowlifes in our society such as people who commit heinous crimes or peddle illicit drugs. 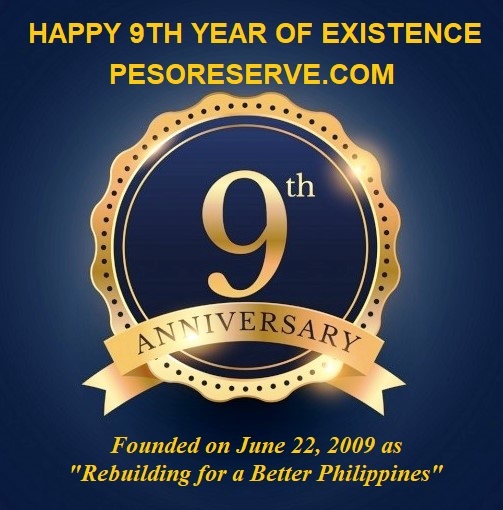 That’s 76 million Filipinos out of the total population of 100 million. 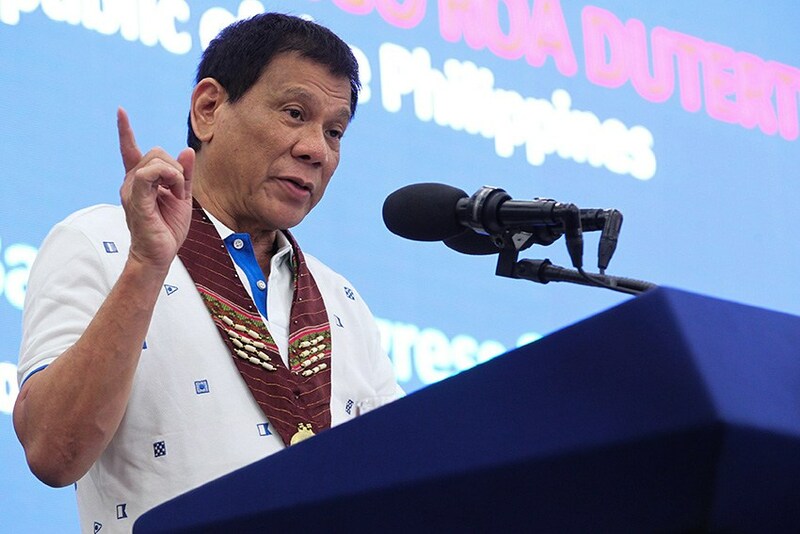 According to the latest survey of the Social Weather Station, 76 percent of the population approve of what President Digong is doing for the country. The killing of criminals in the government’s war on drugs (drug traffickers, drug pushers and peddlers are considered criminals) is not within the ambit of the ICC. You see, the Hague-based court’s mandate is to investigate and when warranted, try individuals charged with genocide, war crimes and crimes against humanity. Genocide refers to the mass slaughter of people on account of their race, religion, culture or political belief. Peddlers of illicit drugs are not being singled out because of race (they’re Filipinos like the rest of us), religion (they’re Christian or Muslim like the rest of us), culture (they have the same culture as the rest of us) and political belief (they’re apolitical and criminal). The Philippines is not at war with any country; therefore, President Digong is not committing any war crime if he really ordered—granting but not admitting—the killing of drug criminals. “Humanity” refers to people in general; therefore, Digong cannot be charged with a crime against humanity as he is not a misanthrope or one who hates mankind. 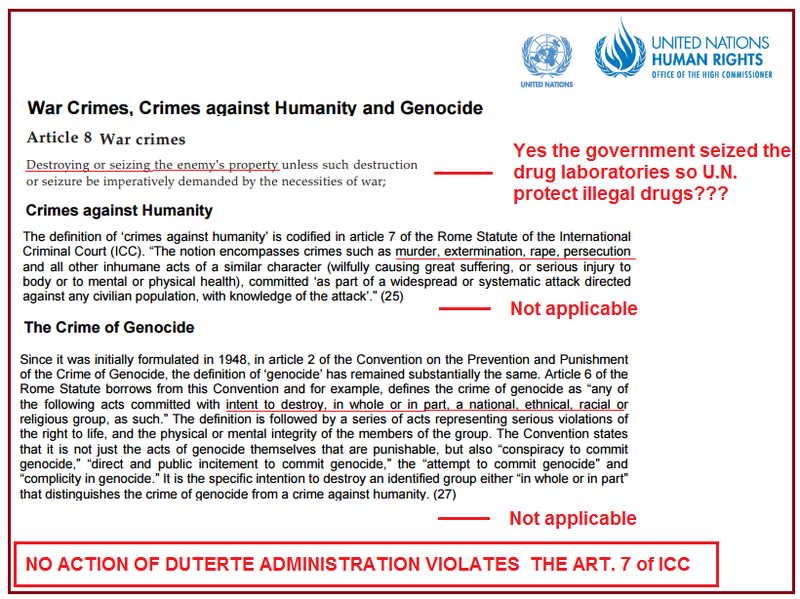 It was unfair and stupid of ICC Chief Prosecutor Fatou Bensouda to accuse Digong of committing genocide, a war crime or crime against humanity in his war on drugs. Why didn’t the International Criminal Court investigate and try then US President George W. Bush of committing war crimes when he ordered US troops to invade Iraq? It was only in Bush’s imagination that Iraq was keeping weapons of mass destruction. Bush was eventually proven wrong when not a single weapon of mass destruction was found in Iraq and only after the US had already invaded that country.